I have several homemade fish sauce recipes for you to try. Browned Almond Sauce, Louis Cocktail Sauce, Hot Cocktail Sauce, Tartar Sauce, Wine Sauce, Cucumber Sauce, Drawn Butter Sauce, Lemon Paprika Butter and more below. Combine ingredients. 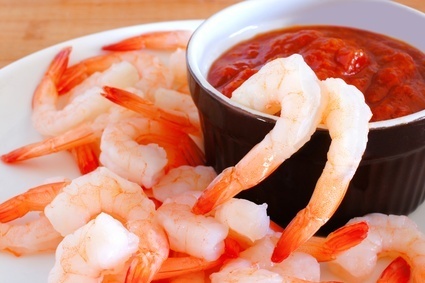 Serve with chilled shrimp or crab. Mix ingredients together. Cover and chill for at least 1 hour before serving. Makes approximately 1 cup. Note: With any of these sauce recipes, if you want spicy just add hot sauce! 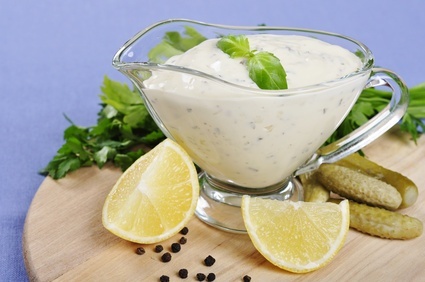 Place ingredients in a blender and process until smooth. Refrigerate for at least 1 hour before serving. 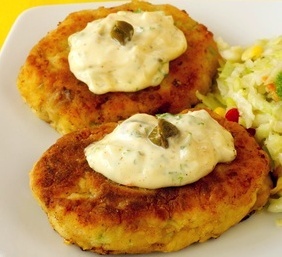 Be sure to check out my easy crab cake recipe. Saute chopped shallots in a little olive oil until translucent. Add minced garlic and stir. Stir in tomatoes and cook for 1 minute. Add heavy cream and half of the fresh herbs. Simmer until reduced by half or desired consistency. Add lime juice and remaining herbs. Season by taste with salt and pepper. Gradually add butter, stirring until sauce is hot. Saute 4 tablespoons blanched slivered almonds in 4 tablespoons of butter until the almonds are brown. 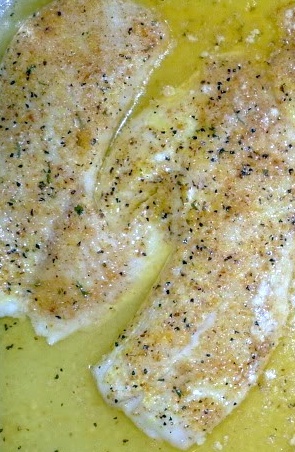 Add 1 teaspoon of lemon juice, heat, and serve over fish. Melt 4 tablespoons of butter until foamy. Add 2 teaspoons of paprika and 2 tablespoons lemon juice. Serve. In a saucepan, heat the butter until melted. Add the flour and salt. Cook for one minute and whisk in the warm milk. When thickened add the lemon juice and heat through. Sprinkle with parsley when finished topping the fish. Melt butter and add flour. Gradually add liquids and salt, and cook until smooth and thick. Saute the onion in butter. Add the remaining ingredients and heat through. I have more than fish sauce recipes, please feel free to check out my favorite fish recipes below.